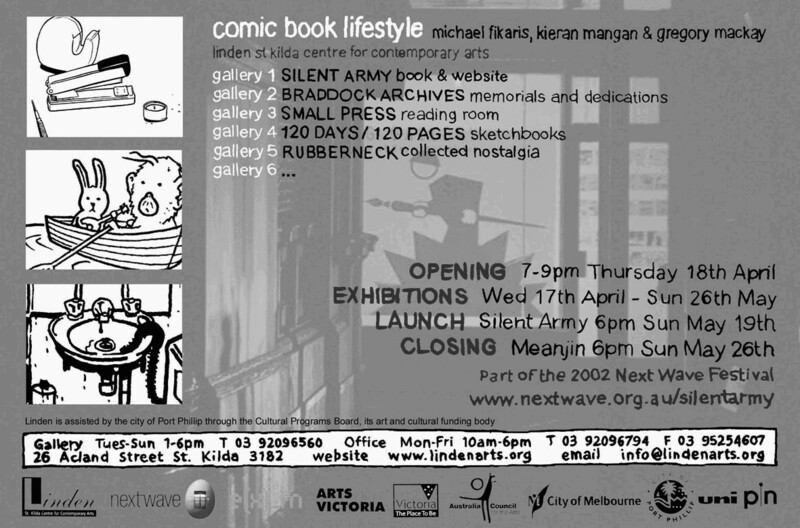 ThComic The Comic Book Lifestyle show was held at Linden Arts Galleries from 18 April 2002 to May 26th 2002, in conjunction with Next Wave Festival and the launch of the anthology Silent Army. 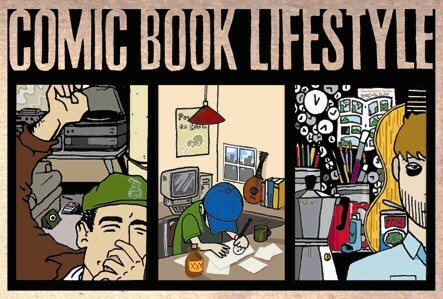 Featured artists were Gregory MacKay, Michael Fikaris, and Kieran Mangan. You can also see new work by the same artists in the recently released 'Pure Evil'.